Two days from now, the world's first early-stage, globally-focused, exchange-tradable VC fund will be open for business - I'm talking of course about our very own Hatcher+ H2 fund, which will list on the Euronext (Amsterdam) and Wiener Bourse exchanges this coming week. Obviously we're excited about this for ourselves and our investors, but not nearly as excited as we are in terms of what this means for our industry. Because we believe this new model - let's call it the "Hatcher+ Venture ETF Model" for want of a better descriptor - is a game-changer. Why is it a game-changer? Not many family offices currently invest in VC - most are put off by the incredibly long lockup periods - which as the Adams Street chart above shows, can range to 20 years, or even longer (eagle-eyed readers will note that 46% of funds on this chart have not liquidated prior to the 15 year point.) Knowing this, many high net worths also bypass VC funds entirely and go straight to the source - and invest directly in startups. Both these ideas are bad - the family offices guys that aren't investing in VC are missing out on possibly the best returns in the financial markets. And the HNW guys that invest directly, in our experience, are not seeing nearly enough startups, not applying rigour to their selection process, and not building portfolios that have anywhere near the level of diversity that is required to win big in this asset class. Worse, they often find themselves tapped in ways they didn't expect - for more (and often much larger) funding amounts, help recruiting (and sometimes selling! ), and sometimes - as has been my experience - building databases and code, leading the next round of funding, coaching the CEO on governance, and basic accounting. And while some of this can be fun to do one time, as a single-resource angel, you can quickly find multiple needy investments to be taxing in the extreme. We believe this new type of fund structure will accomplish something quite powerful: We think it can change the way that family offices and high net worth individuals think about venture capital investment. 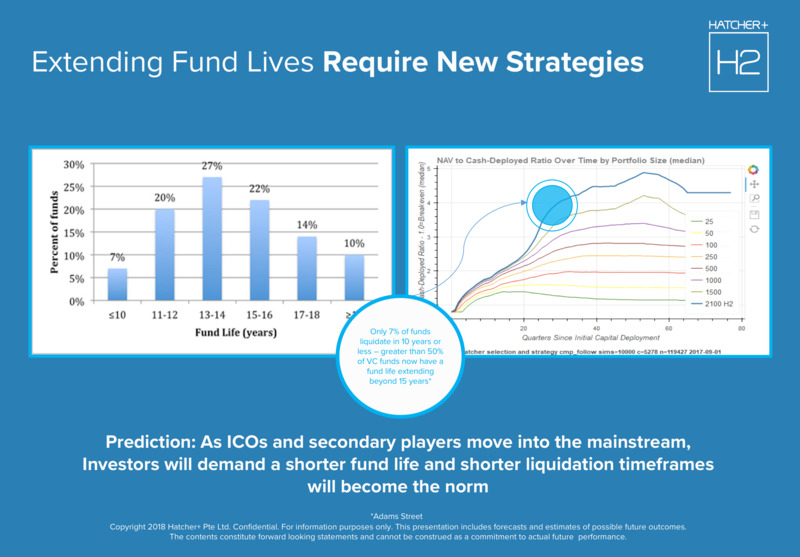 We think it will lead to an industry-wide re-examination of age-old venture fund structures, and (currently non-existent) methods of indexing returns, and improving transparency. We think it will disrupt the status quo in ways that our peers will come to respect. Best of all, we think we can, by promoting this model, enable a greater flow of capital into the startup ecosystem, and a more timely flow of capital back to investors. If you're a traditionally-structured VC or investor, and you're Interested in learning more about our model, just call us. We'd be happy to take you through the structure. Because while our AI-based early-stage investment algorithms are secret, nothing about this structure is secret or proprietary - any VC fund can do what we've just done with a little work (ok, quite a bit of work - around a year), some good lawyers, and a willingness to change.